Amber is a fossilized resin that came from the sap of a particular tree that is now extinct and was suspended inside it. Sometimes, small insects or pieces from the earth's surface are fossilized inside it. Insect fossils trapped inside are usually ants, flies, wasps, etc. It is very exotic to find large insects like butterflies, moths, mantises, etc. More interesting enough is when you find tarantulas, millipedes, frogs, and even lizards. found evidences that aged for about 40,000 years. With its fine golden brown color, Amber's were never considered as minerals but as organic compounds because they lack certain structures like crystalline which is an important factor to be identified as a mineral. 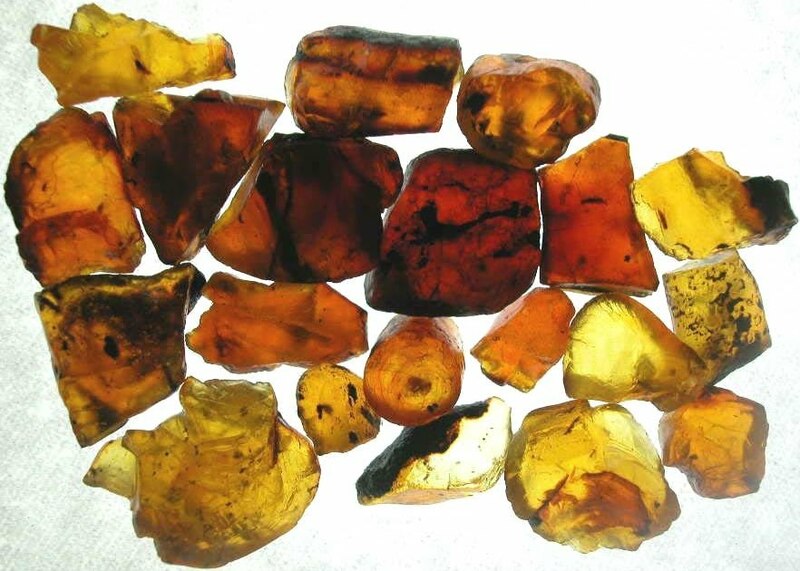 One of the oldest amber specimens are found around regions of the Baltic Sea. Evidence has it that amber was once used to beautify the surroundings as decorations during the Stone age. Ancient people consider amber as a sort of talisman that brings protection to its wearer. For an amber to be formed, it must endure long years of processing. First, resins must harden. As they do, it becomes copal. And for copal to become amber, it must be fossilized within extreme pressures that require periods of time. If an entity is trapped as the process is being done, its features will remain the same unless some pressure excavates it from within. Some of the most extinct creatures that were found trapped inside an amber is recognized by many scientists as remnants of the Jurassic age. Thus, the movie Jurassic Park was based on this theory. True, amber is a living golden jewel for its color ranges from orange to yellow. But it also has colors that vary from red, green, greenish black, and blue. Those would be very seldom. Certain inclusions like insects and air bubbles give further life to this gem. 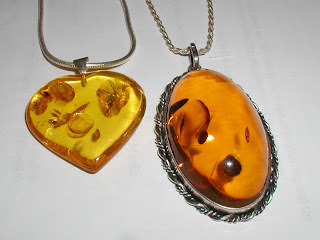 An amber is great if made as large jewelries for its lightness and bright color. Their transparency ranges from transparent to certain translucence. If put under ultraviolet rays, amber becomes fluorescent. Its habit includes embedded nodules and the fracture would have to be conchoidal. Since amber is a soft compound, it can be scratched easily. You have to store this gem separately from the harder jewelries. To imitate amber, you have to use glass, natural resins, plastic and synthetic resins. To remove its cloudiness, it is heated. 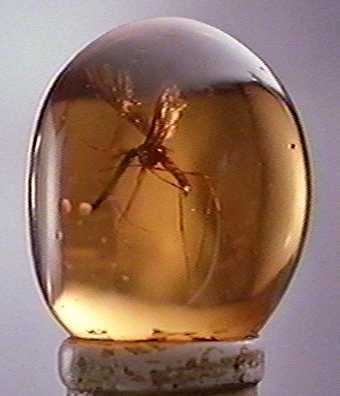 It is said that amber has healing effects on the human body. It enables positive energy to rotate within the body which gives power to the depreciated body. Other positive contributions of amber are to do away with an eccentric behavior, it activates the nature of being altruistic, and it can strengthen tissues pertaining to the ear and brain. Amber is the stone that is paired with Mercury as its planet. Its behavioral effects is said to stimulate mental preparedness because it eliminates aggressiveness and brings about happiness and eases burdens in life. Those who believe in the power of this stone say that it has effects on beauty and is an enhancer of success. It is also believed that amber has equal power to equate the sun which can contribute to further healing, joy, abundance in life and vitality.